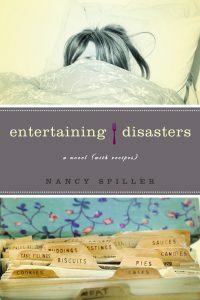 Nancy Spiller, author of the memoir Compromise Cake (Counterpoint Press, 2013) and Entertaining Disasters: A Novel (with Recipes). 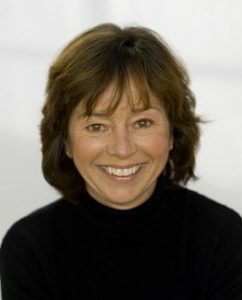 Ms. Spiller was an editor at the Los Angeles Times Syndicate, and her articles and essays have appeared in such publications as Los Angeles Review of Books, Los Angeles Times Sunday Magazine, Cooking Light, and Salon.com. Click here to see KTLA’s interview with Nancy about her memoir Compromise Cake and the mental health issues it raises. Read Irene Lacher’s article in Los Angeles Times on a reading Nancy gave at Doug Dutton’s house! To watch videos of a reading by Nancy and an interview with Sedge Tomson on his West Coast Live radio show, click here. I write for the same reasons as Joan Didion: “to find out what I’m thinking, what I’m looking at, what I see and what it means. What I want and what I fear.” For those who believe in the power of words, writing is the most important thing, what Norman Mailer referred to as “the spooky art.” More than an activity, it is a way of being in the world. It miraculously connects us to life’s expansiveness and lends it meaning. Writing does this in ways that can only be discovered through the process of writing. And writing is learned by doing, by putting one word after the other, like a hiker must put one foot after the other to enter a landscape unfamiliar at first but that will be intimately known by trail’s end. As an instructor I hope to help guide other writers toward their destination. Instructor Website: Click here to leave our website and go to Nancy’s website.